Bright Publishing are offering a free subscription to the digital version of Photography News for camera club members. The publication is available for your desk top, iPad or iPhone and you can subscribe here. Upon registering, each month you will be sent a link to view the newspaper as soon as it is published. Free hard copies are available in Jessops and it looks good. Seven Sisters Camera Club is unique in holding a series of themed small print competitions in tandem with our formal programme. The idea grew from a wish to have an informal competition which was open to all and easy and quick to prepare work for. Members simply turn up on the night with up to two small prints and place them anonymously on a table. 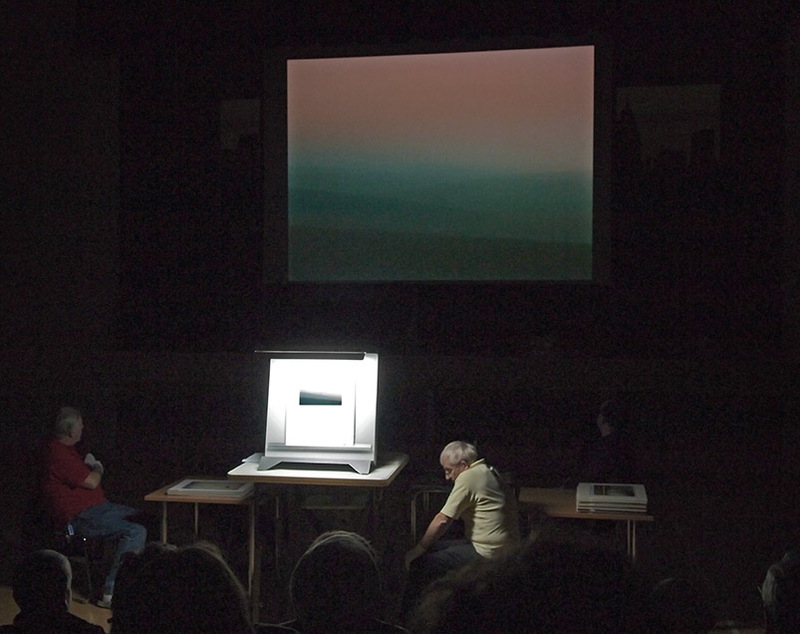 All present can cast two votes for their favourites on show and the top scoring pictures are later declared and attributed. The competitions provide additional interest on a regular Club night and are proving to be very popular. Here are the details from our latest, held on 22nd September. The theme was Coastal Scene and there were 28 entries from 16 members. The Club has completed its first season of Monday meetings and has now begun a range of summer activities and events until the start of Season 2 in September. At the recent AGM, Chairman, Clinton Taylor, thanked all the members for making the first season such a huge success. The new season starts on the 1st September 2014. Held on Monday 6th June 2016, this practical Macro photography workshop was well attended and enjoyed both for its informative nature and for the friendly, social atmosphere that is ever present at SSCC club events. A list will be made of all the Photoshop stages of the photo stacking, as shown during the evening, and will be made available to members. 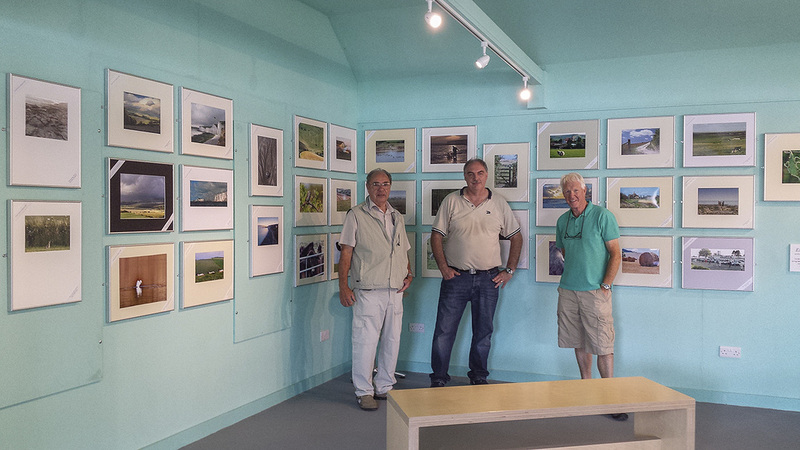 The exhibition can be seen in the National Trust's Visitor Centre at Birling Gap (above and below). 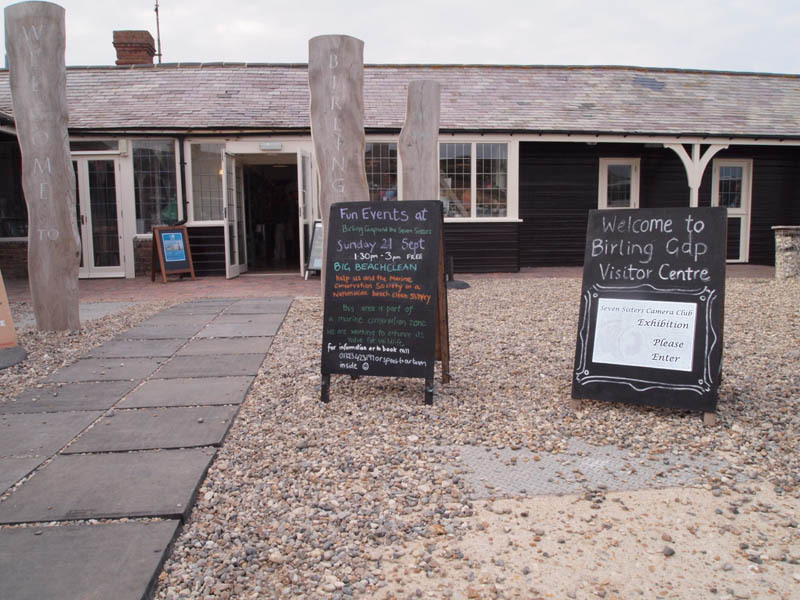 The Club's exhibition is now open and is kindly being hosted by the National Trust in their the new Visitor Centre at Birling Gap. The exhibition will run for 3 months with changing themes. Entry is free (NT parking is £2) 10/9/14. 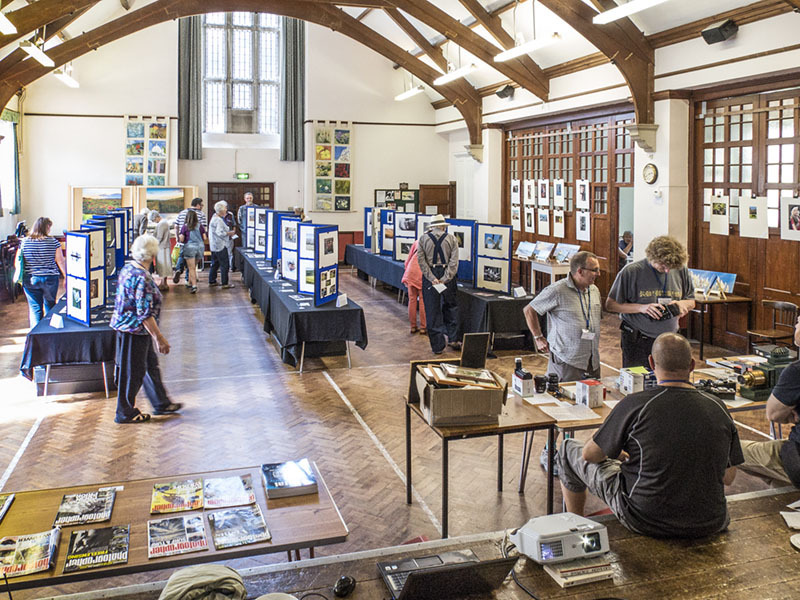 The Club's first Photographic Open Day was held at St. John's Hall on Saturday 9th August and was very well attended. 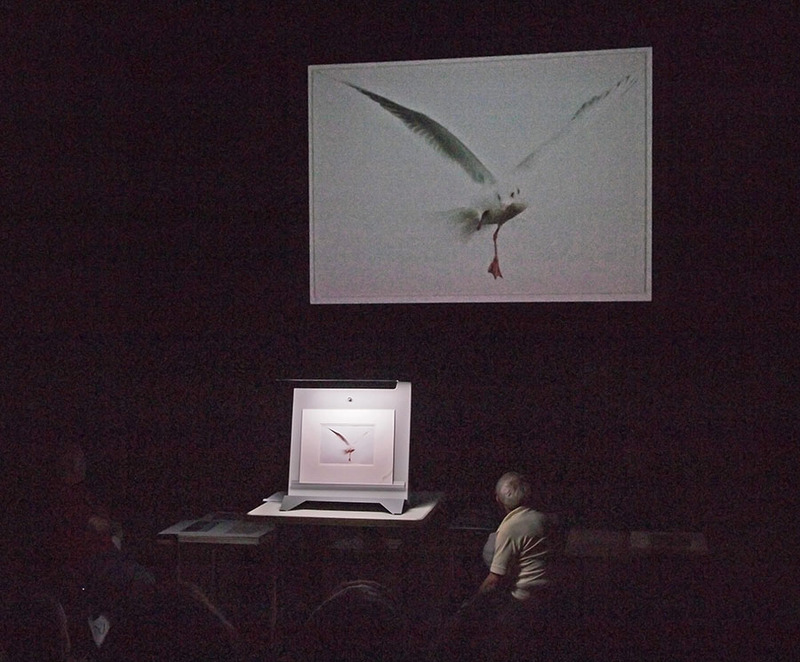 Visitors enjoyed a mix of talks and demonstrations along with an exhibition of members' work from our first season. We were excited to be one of 39 regional clubs to participate in this year's Ross Cup, run by the Kent County Photographic Association on the 23rd November. As an extra treat, we were delighted to have two of our eight entries pick up 'Judges Comments', being among only 50 images out of a total of 312 entries to do so. (Top) Eileen James' "Flight" and (above) Robin Stevenson's "Sussex Landscape" which both picked up a 'Judges Comment'. Apologies for poor quality of photographs due to rather challenging light! It was a proud day for those of us attending when we saw our Club's work displayed in the exhibition area among such an impressive collection from the whole region. We were especially proud to have involved all our members in selecting our eight entries, this being very much a part of our Club's wide inclusivity policy. 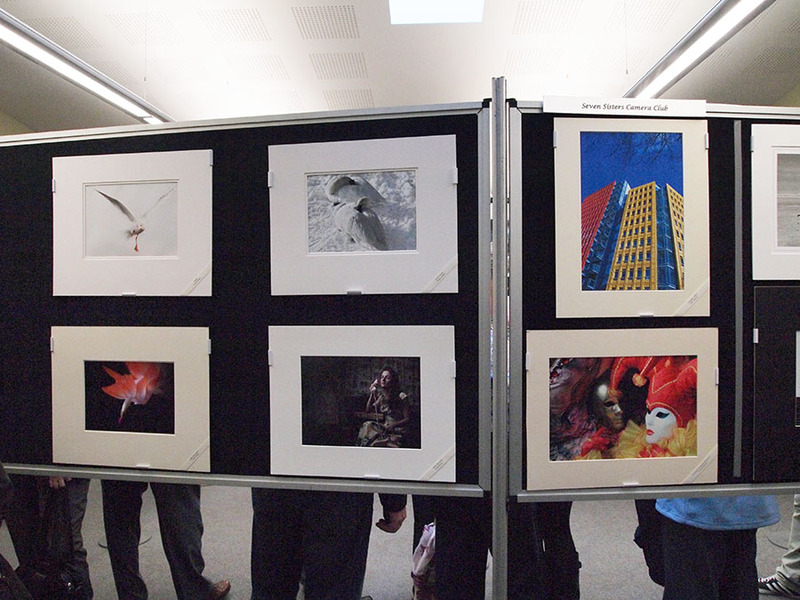 Some of our Club's pictures on display in the main exhibition area. It was a fun day out and we shall be encouraging even more members to get involved next year.